Office warming meal – to get people involved in a more informal way and to promote the newly refurbished tenants‟ and residents‟ office as a good place to host events. The key to making our events successful was promotion and planning. We made sure that we promoted events as much in advance as we could, and made the promotion materials as attractive as possible. Wherever we could, we promoted it online, and with posters in every block. We also made sure that we planned events to be at times that as many people could attend as possible. The events that worked best were the informal events that were very well promoted, and that we made relevant to as many people as possible. The best example of this was the mapping event at the start of the project. It was very relaxed and open, and easy to see what was happening – you could turn up halfway through and get stuck in. We promoted this well in advance, and it appealed to all residents as we marketed it as „tell us what you think of your estate, and what you would like to see in the future‟. We had more than one activity going on, and cake and biscuits, and there was lots of chatting. We tried to recreate this style of event whenever we could. We definitely found that providing food, a buffet, snacks, or cake and biscuits, was another good way to encourage people to attend. 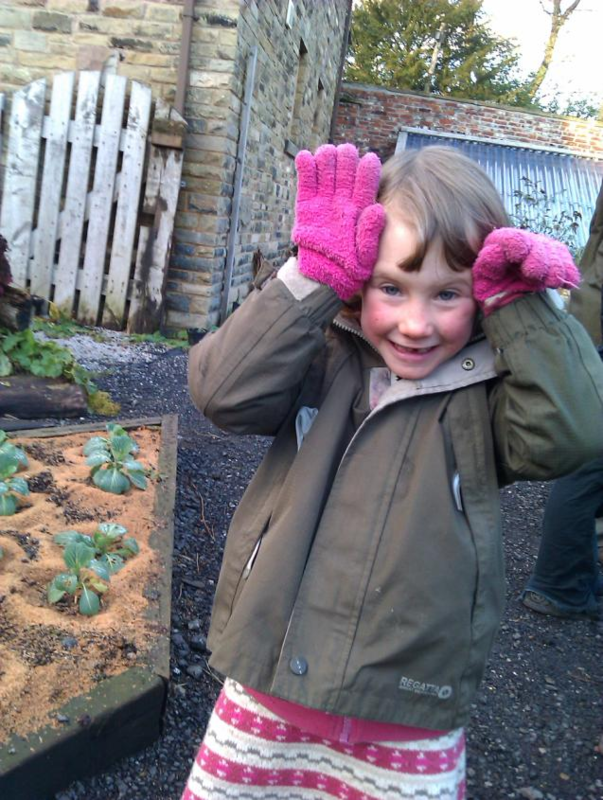 Having fun at the Offshoots Pemaculture centre in Burnley. We tried to make our trips and events as open to all ages as possible.